Flowers by wire may be a mysterious term to some, but it's the most popular way to send flowers across the country or around the world, with same day delivery possible to more than 90% of people living and working in the United States and Canada, as well as service to more than 100 other countries. The name "flowers by wire" is admittedly old-fashioned. Still, the quality and convenience are cutting edge. Interestingly enough, like most great ideas, it all started in a very low-tech, high-touch way. Flowers by wire delivery dates back more than a century. When someone wanted to send flowers to a loved one in another city, a hometown flower shop would help by contacting a trusted florist in the distant town. Many flower shops were handed down from generation to generation, and florist families had a natural network of hardworking associates they'd come to know through the years. 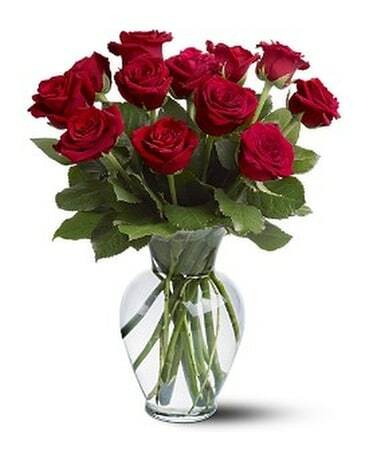 The distant florist could deliver the flowers to the recipient quite easily. Unfortunately, this network of fellow florists was informal, and communication was cumbersome. In many cases, mail or telegraph messages had to be used to relay an order from one florist to another. Fortunately, communications improved, and florists strengthened their associations through industry groups and trade associations. Thanks to these groups, what began as an informal cooperative effort among a handful of local florists quickly became highly organized networks of many thousands of flower shops worldwide. One such organization was Florists Telegraph Delivery, founded by fifteen forward-thinking florists in 1910. The organization grew rapidly, but its name, and the telegraph, soon became obsolete. As technology evolved, florists migrated to the telephone as a much more efficient way of exchanging orders. The association was renamed FTD, and several other flowers by wire groups took shape. 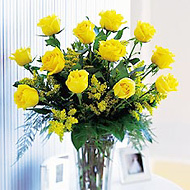 Today, the best known are FTD, Teleflora, and Interflora. Each includes more than 10,000 florist members, who meet strict quality standards and adhere to professional guidelines. It's these florists that make flowers by wire possible. Of course, flowers by wire technology has continued to improve, too. Today, the vast majority of flowers by wire orders are transferred between florists on proprietary data networks to ensure the speed, accuracy, and security of transmission. Ties among the larger and better florists have only strengthened, because they regularly fill floral orders for each other, monitor results, and maintain close professional relationships. So, the fundamental concept remains -- fresh flower arrangements individually designed and locally delivered by independent florists all working together to help their customers. No wonder flowers continue to be one of the most convenient gift options available. Whether you're sending flowers around the world or around the block, a professional florist can handle everything. And, you can easily shop for flowers online. So, next time you want to say "thanks," "happy birthday," "get well soon," or "thinking of you," just visit your favorite flower shop. No matter what the occasion or delivery destination, a quality florist can help. And, while they may not have a clue how to use a telegraph, they can easily send flowers by wire almost anywhere just for you. At The Flower Factory, we can send flowers to anyone worldwide with Teleflora's wire service directly from our shop to the shop closest to your special someone. So call us today @ 1-877-262-9202 or 316-262-9202 and let us help you make someone smile.